In 2004, the Center for Sustainable Forestry at Pack Forest was created to advance the practice of sustainability and strategic themes of UW’s School of Environmental and Forest Sciences (SEFS). The purpose of the center is to discover, teach and demonstrate the concepts of sustainable forestry, with special focus on advancing the strategic themes of the school. The center undertakes programs of research, continuing education/outreach, demonstration and service in fields of natural resource and environmental science and management. Located at the foot of Mt. 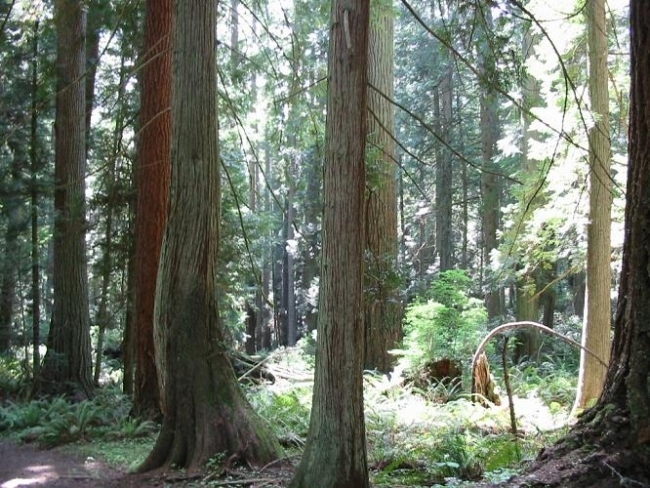 Rainer, Pack Forest sits on 4,300 acres of working forestland. The forest has been an outdoors classroom for UW students, faculty and affiliates since the College of Forest Resources (now SEFS) aquired it in 1926. Students utilize the are for lab exercises, case study classes and continuing education. Pack Forest started as 334 acres purchased in 1926 with a cash gift from conservationist and East Coast lumberman Charles Lathrop Pack.